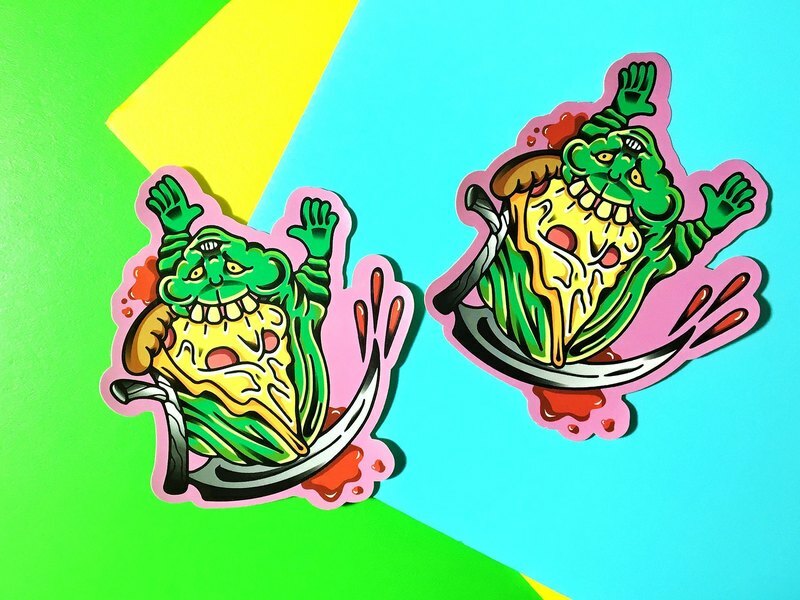 ▲Front look is slime biting PIZZA On the reverse side, it is death with a sickle. ▲The sticker products are all worth 200 yuan (the shipping cost is not included in the accumulated amount) // Two for over 400 yuan (and so on) // Gifts are given at random. ▲Product size range: 6cm~14cm ▲Material: Synthetic sticker on bright film / fog film ▲ can be attached to hard hats, suitcases, laptops, etc. ▲There are lighting treatments for the product shooting, so the screen display is slightly different from the physical color. // Don't mind if you buy again ▲The sticker is cut by the die, and the frame is slightly raised or the edge is bent. // It does not affect the use of ▲ sticker printing color, a slight error in each batch of color is normal ▲Products are sold simultaneously with the market ▲If the product is sold out, you can ask if you will replenish it.